Alive! 's blend helps you discover the magic of organic kale, acai and raspberry to boost your daily intake. 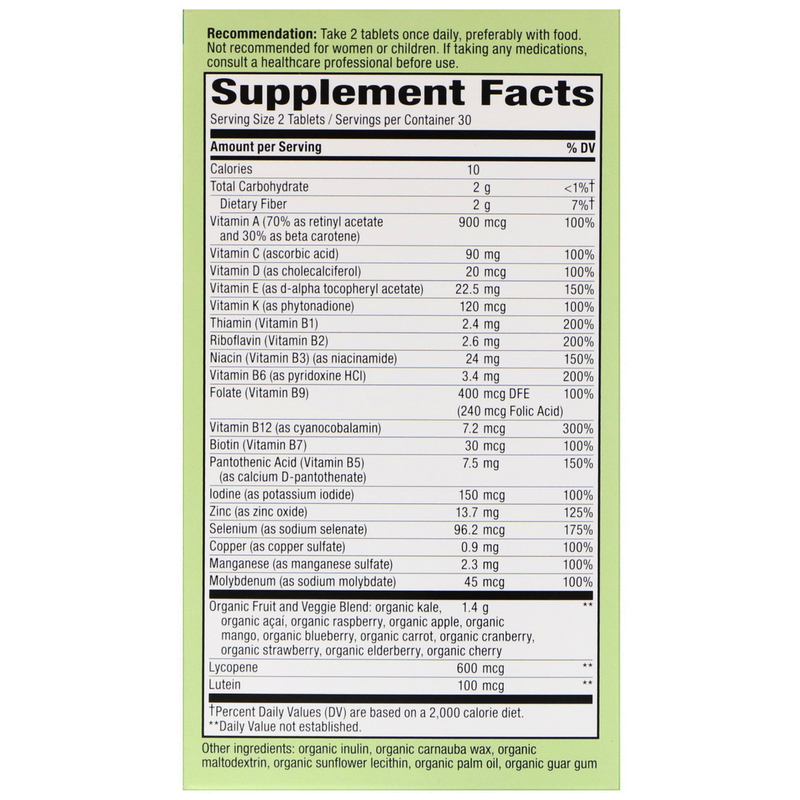 †1.4 g fruit and vegetable blend per serving. 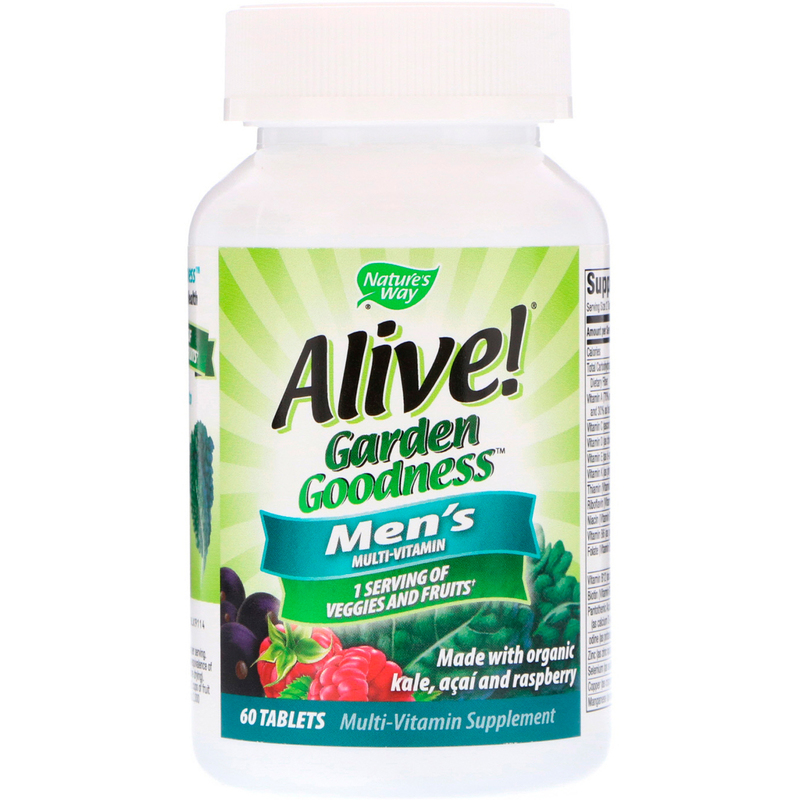 Each 2 tablet serving provide the equivalence of 1 cup of leafy greens (volume before drying). Recommendation: Take 2 tablets once daily, preferably with food. Not recommended for women or children. Organic inulin, organic carnauba wax, organic maltodextrin, organic sunflower lecithin, organic palm oil, organic guar gum. 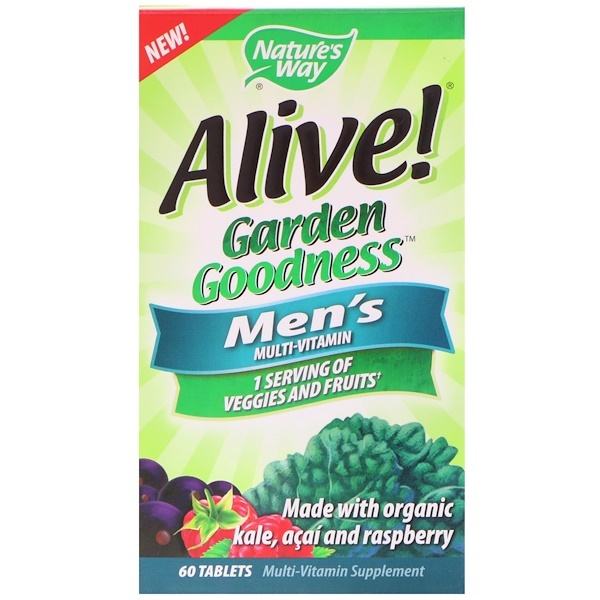 Contains no sugar, salt, yeast, wheat, soy, dairy products, artificial colors or flavors. Keep out of reach of children. Safety sealed for your protection with printed inner freshness seal under child resistant bottle cap. Do not use if seal is broke or missing. Store at room temperature. Keep bottle tightly closed.